◎ Qiu Shuiping, former chief justice of the high court in Shanxi, was appointed Party secretary of Peking University. On Oct. 23, Peking University appointed Qiu Shuiping as its new Party secretary. Qiu was formerly the chief justice of the high court in Shanxi Province, and previously served for a year as Party secretary of the Beijing bureau of the Ministry of State Security. Because of Qiu’s intelligence background, some observers believe that his appointment to Peking University is a sign that Xi Jinping is stepping up ideological control in China’s leading college and at educational institutions. One argument sees a connection between Qiu’s appointment and the coming anniversary of two student movements (100th year of May 4 Movement, 30th year of Tiananmen Square protests) in 2019. However, a closer examination of Qiu Shuiping’s career and the Chinese Communist Party’s ideological push suggest that “work probation” is the more likely reason why Qiu got his new job. 1. The argument that Qiu Shiping was named Party secretary at Peking University as part of a tightening of ideological control and preparation for the anniversaries of famous student movements is not very convincing. The CCP’s push for tighter ideological control began at the Third Plenum of the 18th Central Committee in 2013. Today, the CCP is already policing public dialogue, messaging, and ideology very strictly in the People’s Republic of China. While there have recent cases of sporadic student action (#MeToo, Jasic union, etc. ), it is unlikely that massive student movements of the past will occur again under the CCP’s heightened surveillance. And even if a mass movement does break out, there is nothing much that a former intelligence agency overseer like Qiu Shuiping or any other official from a different career background can do about the situation. 2. Qiu Shuiping’s career background and the CCP factional struggle offer clues as to why he was transferred from chief justice in Shanxi Province, a powerful position, to Party secretary of China’s top college, a far less influential role. Qiu spent most of his career in Beijing, a former stronghold of the Jiang Zemin faction until Xi Jinping ally Cai Qi was appointed Party secretary of the Beijing municipal government in May 2017. Qiu would have to be in the Jiang faction’s good books to climb the ranks in Beijing, and can be considered to be an official with affiliations to Xi’s political rivals. When Xi was in office, he sought to curb the Jiang faction’s influence to resolve the problem of “orders not leaving the gates of Zhongnanhai” which plagued Hu Jintao. Many Jiang faction associates and affiliates were purged as part of a sweeping anti-corruption campaign, but it would be impractical for Xi to remove all officials who secured promotions to the senior levels during the Jiang era. The Jiang faction’s tight control over key apparatuses like domestic security and propaganda also means that Xi could not easily remove officials. Shortly after Xi became CCP General Secretary, Qiu was promoted from Beijing Pingguo District Party secretary to deputy secretary general of the Beijing Municipal Party Committee (Feb. 2013 – Jan. 2017). During his time as deputy secretary general, Qiu also jointly served as executive deputy secretary of the municipal Political and Legal Affairs Commission. From Dec. 2013 to Dec. 2014, Qiu was named Party secretary of the Ministry of State Security’s Beijing bureau. Qiu Shuping’s time in the Beijing government’s state security and the PLAC coincided with the beginning of Xi Jinping’s effort to purge the PLAC apparatus after the Bo Xilai and Zhou Yongkang coup attempts (for more on coups, see here). In what is likely a move to break up entrenched PLAC networks, Xi appoints officials with no domestic security, intelligence, or legal apparatus background into leadership positions of organs in the PLAC system. Qiu appears to be a “beneficiary” of Xi Jinping’s attempt to rectify the PLAC. His appointment as Beijing state security Party secretary, however, is almost certainly a temporary decision made to ensure stricter oversight of the bureau; Liang Ke, head of the Beijing bureau of the Ministry of State Security, was investigated in Jan. 2014, or within weeks of Qiu’s appointment as Party secretary. At this point, it should be noted that describing Qiu Shuiping as a “spy” because of his stint in state security is somewhat of a misnomer. First, he was in the intelligence system for only a year, a very brief time that hardly qualifies him as a professional spymaster. Second, Qiu’s position was Party secretary, which meant that he was primarily tasked with overseeing the Party’s control over the bureau, and not with day-to-day operations. In January 2017, Qiu Shuiping was promoted a grade (bureau to vice ministerial-level) to chief justice and Party group secretary of the high court in Shanxi Province. We believe that Qiu’s promotion is tied to his faithfully implementing Xi Jinping’s policies. Qiu joined the Third Central Inspection Group as its deputy inspection head from November 2016 to February 2017, and the Group’s sweep of Gansu Province led to the fall of two Jiang faction members, Gansu deputy governor Yu Haiyan (Jan. 2017) and Party secretary Wang Sanyun (July 2017). Qiu is almost certainly involved in the work that led to the arrest of Yu and Wang, and it appeared for a time that he was passing “work probation” due to his willingness to go after the Jiang faction. Qiu Shuiping was only in his Shanxi job for a year and nine months before being transferred to Beijing again to serve as Party secretary of Peking University. While Peking University Party secretary and Shanxi chief justice are both vice ministerial-level jobs, Qiu Shuiping has a lot less power and influence at Peking University. The downgrade in power suggests Qiu is still very much on “work probation,” and Xi Jinping has not yet decided that he has fully switched sides in the factional contest. Qiu will have opportunities to prove his loyalty again to Xi at Peking University. The college’s students made headlines this year for protesting efforts to silence sexual harassment and supporting workers who want to organize trade unions in Shenzhen City. Student activism is likely part of the reason why Lin Jianhua, the former Peking University president, was recently replaced by Hao Ping, Qiu’s immediate predecessor. 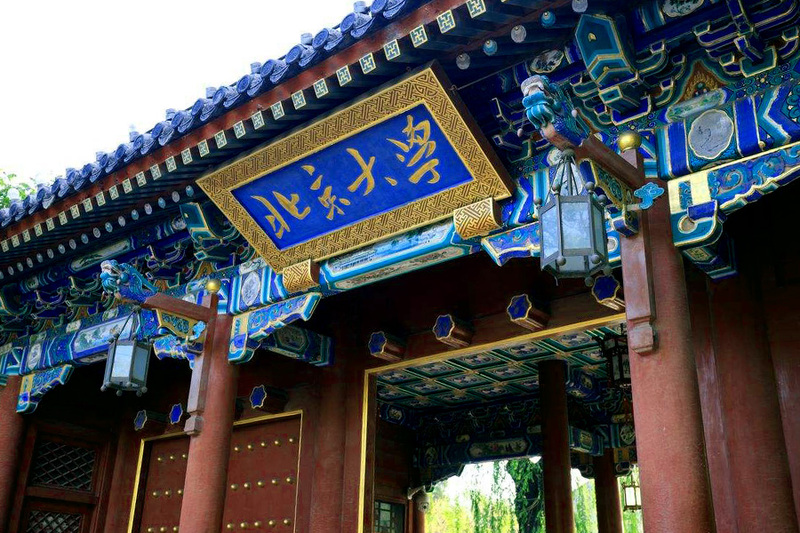 As Party secretary, Qiu will have to ensure that the school’s administrators keep student or faculty trouble at Peking University to a minimum, and not provoke problems. Qiu Shiping is 56 this year, and is due to retire at 60 unless he secures promotion in the next four years. Whether or not Qiu is promoted and gains a more prestigious post will depend on how well he implements Xi’s policies in Peking University. 3. This year, 26 Party secretaries and principals of colleges and other institutions of higher education in China have been replaced, according to state media. Qiu Shuping is one of the 26 officials who were reshuffled.